In this book, Yanis Varoufakis (Professor of Economics at the University of Athens) gives a highly informative and very well-informed account of the austerity measures enforced by the institutions of the European Union (EU) since the financial crisis which began in 2007-2008. He also sets these events and policies in the wider context and history of the EU, and especially of the economic relationship between the EU and the USA. As the title shows, Professor Varoufakis is deeply concerned about the impact of these policy measures on the people who are weakest in a society: most plainly, the weak in Greece (his own country), but also in other EU countries. This is a concern which Christians must of course share, given the many biblical injunctions to uphold the cause of the poor and needy. Varoufakis’ account is especially well-informed because of his (short-lived) role as Greece’s Finance Minister between January and July 2015: he was directly involved in many lengthy meetings between the Greek government and the major EU bodies. These negotiations were focused on the debt crisis which hit the Eurozone in 2010 (a direct consequence of the 2007-8 crisis in London and Wall Street), and in which the desperate finances of the Greek banks were a central part. Prof Varoufakis was already well underway with writing this book when he chose to stand for election in Greece – motivated by precisely the concerns and arguments about which he was already writing. More than half of the book is taken up with an account of the economic relationship between the USA and the EU and its predecessors: the European Coal and Steel Community, which evolved into the European Economic Community [Common Market]. The key aspects here centre on macroeconomic policy and the nature of global capitalism: and these are, as Varoufakis shows, central to the contemporary challenges for policymakers, for capitalism and indeed for democracy. This material (chapters 1 to 5) often takes a fair amount of wading through (although it is thoroughly researched). But the case he presents is a strong one. In his own words (pp137-8): ‘The reason Europe seemed to be prospering in the late 1990s and until 2008, despite having introduced an unsustainable gold standard [i.e. permanent monetary union in the form of the Euro], had little if anything to do with the design of its single currency and everything to do with the fact that there was no need for political surplus recycling [emphasis added], as the world of private finance was doing plenty of fair-weather recycling’. What Varoufakis means here by ‘recycling’ is nothing to do households with putting plastics and paper into bins of various colours (!). Instead he is talking about macroeconomic and monetary flows between and within countries. In essence, during the 1950s and 1960s, the ‘Bretton Woods’ economic institutions helped to ensure that no developed economy slumped into permanent recession or depression; and, even after the collapse of those arrangements in 1971, the large and growing ‘twin deficits’ of the USA (i.e. both a Balance of Payments current account deficit, with imports exceeding exports, and a public sector deficit, with government expenditure exceeding tax receipts) helped to enable economic growth to continue in the EU and the Eurozone. There was no need for the countervailing current account surplus in countries such as Germany to be recycled by the hand of politicians, since the macroeconomic ‘weather’ continued to be fair – until 2008. However, the 2007-8 crisis brought all of this crashing down; and the poor design of the Euro, Varoufakis argues, meant that the Eurozone countries had no defence against the ensuing crisis. Varoufakis also makes a strong argument for what is many ways is a very depressing proposition. The argument is that – in the light of the above history – the EU’s political, economic and monetary institutions do not have it in their DNA to provide a suitably flexible response to a crisis such as that of 2007-8 and its aftermath. In essence the EU’s structures centralize power (e.g. in the hands of ‘bureaucrats’) and are incapable of being made democratically accountable. On that basis, in the remaining chapters Varoufakis proceeds to explain the interconnections between the post-2008 debts of private (commercial) banks, the perceived need to bail out these banks, and the EU’s requirement that governments must introduce austerity measures as the price for the EU agreeing to complex packages to try to resolve the severe difficulties. Crucially, argues Varoufakis, the ‘no bailouts of EU countries’ rule was at the heart of why the follies of bankers led to the price being paid by the weakest citizens (in the form of austerity measures), most especially in Greece. ‘A clueless political elite, in denial of the nature and history of a crisis whose roots go back to at least 1971, is pursuing policies akin to carpet-bombing the economies of proud European nations in order to save them’ (p192). Varoufakis makes no secret of his left-wing convictions, and his atheism is also evident. He writes with passion and intelligence about some very serious challenges facing European and global capitalism, and the book is well worth reading. Let me conclude with some questions that are raised by this book, especially from a Christian perspective. First, are we sufficiently concerned for how macroeconomic and political forces impact on the weakest in our societies? The title of the book, as Varoufakis explains on p19, is drawn from Thucydides’ Peloponnesian War: at one point the powerful Athenian generals explained to the helpless Melians that ‘the strong actually do what they can and the weak suffer what they must’ [translation by Varoufakis]. Substitute ‘politicians and bankers’ in place of ‘the strong’, and it is hard not to find this very chilling. Secondly, what is the future for the EU? This is evidently a question not only for the UK (whatever one’s views about Brexit). Varoufakis is an internationalist, and sees nationalism as a great problem; yet he is deeply pessimistic about the EU. Thirdly, how can global capitalism be better managed, so that the power of money and finance (we might even say ‘Mammon’) is circumscribed and a more truly democratic political economy is shaped? “And the Weak Suffer What They Must? Europe, Austerity and the Threat to Global Stability” was published in 2016 by Nation Books (ISBN – 10: 1568585047), 368pp. Revd Dr Andy Hartropp is an economist, theologian and church minister. He has two PhDs, one in Economics and one in Christian Ethics. He lectured in financial economics for 5 years at Brunel University, west London. He also worked for a year with the Jubilee Centre in Cambridge, primarily leading a team doing research on families in debt. He trained at Oak Hill College, London, for ordained ministry in the Church of England. His (second) PhD was published as: What is Economic Justice? Biblical and secular perspectives contrasted (Carlisle: Paternoster, 2007). He has spent 13 years in parish ministry. He worked for eight years with the Oxford Centre for Mission Studies, where he was the Sundo Kim Research Tutor in Mission and Economics. In March 2016 he joined Waverley Abbey College as Director of Higher Education. 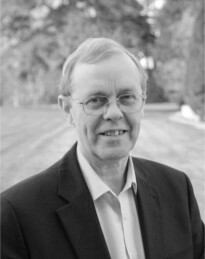 He chairs the Ethics and Social Theology Group of the Tyndale Fellowship. He is married to Claire, and they live in Bicester, near Oxford. For the original webpage, click here.